On April 2011, Patrick Carnes, 86, left his home in Reno with his dog, Lucky for a trip to visit family in Ohio. On April 12, after his visit he headed back home with Lucky, in his dark green Subaru station wagon. The following day, on April 13, a highway patrolman saw Patrick’s car pass by too close to him as he was standing by a tractor trailer he had pulled over for a traffic stop. The police officer caught up with Patrick and pulled him over in the town of Wells, Nevada and gave him a traffic warning. Patrick continued driving westbound I-80 and sometime between then and the following day, Patrick and Lucky disappeared. On April 14, Patrick’s car was found abandoned near some sage brush in rural Winnemucca at the Pumpernickel Valley off-ramp in Humboldt County. That was about a three hour drive from where the highway patrolman pulled Patrick over. There were signs of no foul play and the car had gas. Then the patrolman that pulled Patrick over in Wells heard about his disappearance and decided to check his video camera in his patrol car. On the video he heard Patrick say, “‘I’m only following him because he’s going to Elko,’ and the ‘him’ we figure is the truck that he is directly behind,'” Kull tells KLAS News. recognize the logo on the back of this truck on the left. There is an “NG” at the top upper left hand corner. 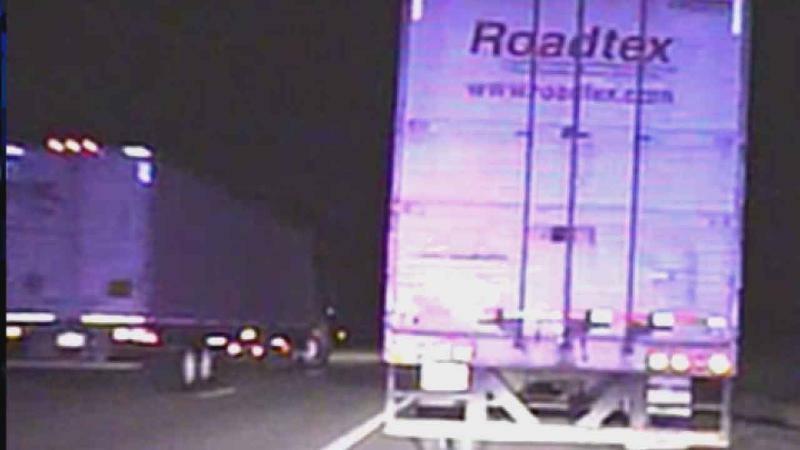 Also, in the video, a tractor trailer can be seen speeding by in the left lane followed by Patrick’s car before he was pulled over. It raises the question if that was the car that Patrick was following to Elko? Authorities said there is also a clue in the video as in the upper left hand corner of the trucks rear door there is a logo, that so far no one has been able to recognize. Click here to read the complete story. Is there a serial killer on the I-80? Nevada police agencies are receiving help from the FBI in searching for what they think could be a serial killer operating on our interstate highways. Grant Moedl, 57, was driving the same kind of car as Pat Carnes when he also disappeared after his last cell phone ping was recorded near Mountain Home, Idaho. Another is Judy Casida, 62, from Reno who went missing in 2006. Her case is similar to Carnes case as Casida’s car was also found abandoned at the same off-ramp. Several women missing from Longview, is there a connection?